A couple of years ago, there was talk of making a Crazy Quilt by 2012. I think the plan was that the quilts would then be displayed in Paducah. Well I am not sure if that is a go, but I am still working on mine! I choose to make a black on black crazy quilt, something I had never done. 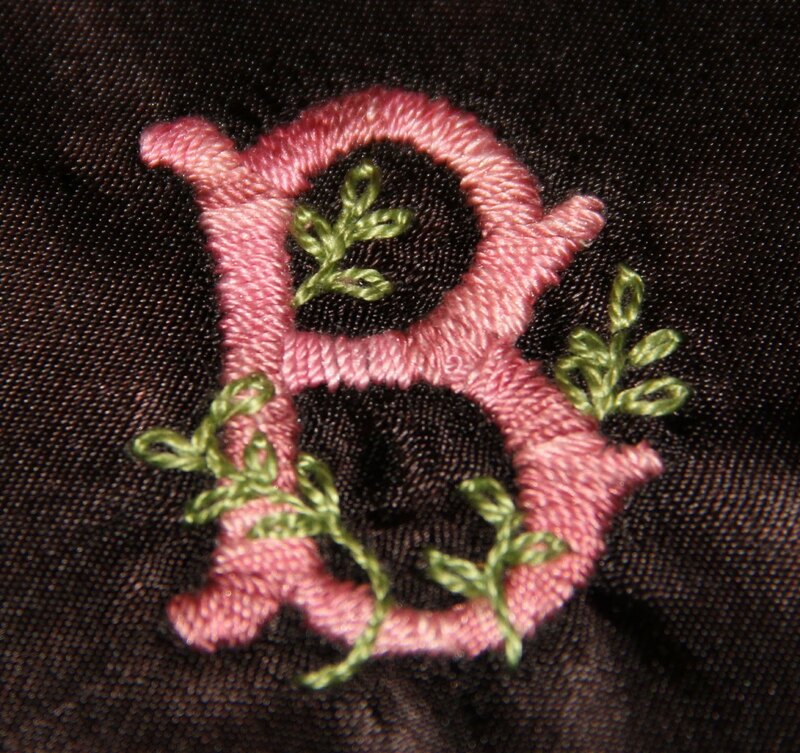 I then decided to do all of the embroidery in bright pinks and greens. I am almost done and have been really pleased with it. I also offered it as a class at my shop and have had a good response. I just love to do bullion embroidery much to my student's dismay! They aren't as in love with bullion embroidery but they do admit it forces them to do it. Since the name of my shop is The Pink Bunny, I felt it was only right to put a pink bunny on the quilt! I'm sure this is stunning, Val! Looking forward to seeing the whole thing. I love your ideas! The 8 pointed thing with bullion flowers really appeals to me, and the bunny is adorable! How creative.